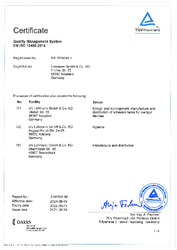 Tried-and-tested quality is at the very heart of our corporate policy. 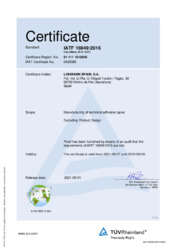 Continuous inspections allow us to optimise our processes and ensure you receive nothing but the finest products. 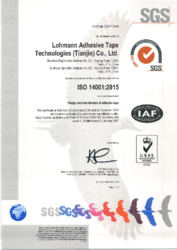 Because quality is never an option. 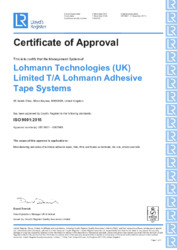 We are happy to submit ourselves to official certification procedures. For example, our quality management is certified to DIN EN ISO 9001 and our environmental management system is certified to DIN EN ISO 14001. 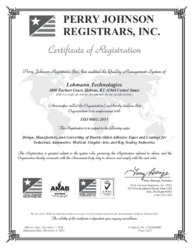 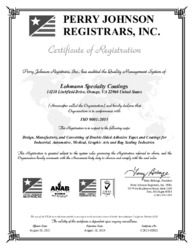 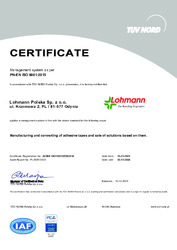 To let you know who you are bonding with: Lohmann Certificates. 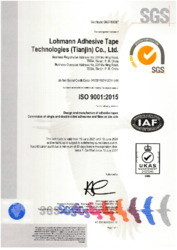 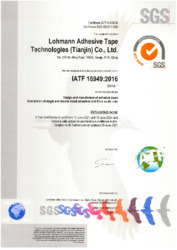 The following overview provides details of all Lohmann Adhesive Tape Group certifications, listed by site locations. 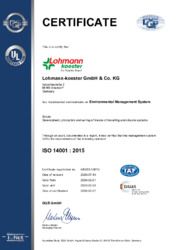 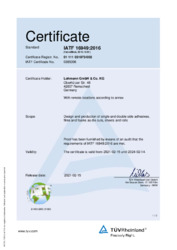 Lohmann-koester GmbH & Co. KG, Altendorf is certified in the areas of Quality (ISO 9001), Environment (ISO 14001), and Energy Management (ISO 50001). 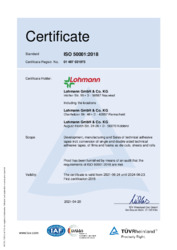 Lohmann Neuwied is certified in the areas of Quality (ISO 9001), Medical Products (ISO 13485) and Environment (ISO 14001) and Automotive (IATF 16949) and Energy Management (ISO 50001). Lohmann Remscheid is certified in the areas of Environment (ISO 14001), Quality (ISO 9001), Clean Room (ISO 14644-1), Automotive (IATF 16949) and Medical Devices (ISO 13485) and Energy Management (ISO 50001). 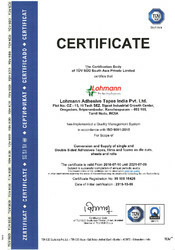 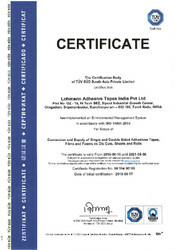 Lohmann India is certified in the areas of Quality (ISO 9001) and Environment (ISO 14001). 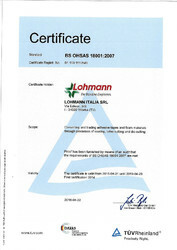 Lohmann Italy is certified in the areas of Automotive (IATF 16949), Health & Safety (BS OHSAS 18001), Environment (ISO 14001), and Quality (ISO 9001). 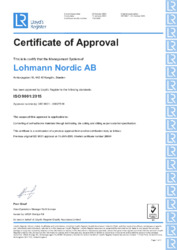 Lohmann-koester S. de R.L. 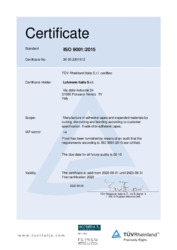 de C.V. is certified in the area of Quality (ISO 9001). 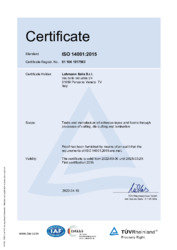 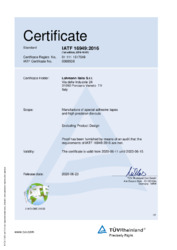 Lohmann Nordic is certified in the areas of Quality (ISO 9001) and Environment (ISO 14001).